US 50 to SR 350 to rt on SR 101 to lt on E CR 700N (at Stop Sign). Sign on. Well-maintained ranch on 1.67 acres! 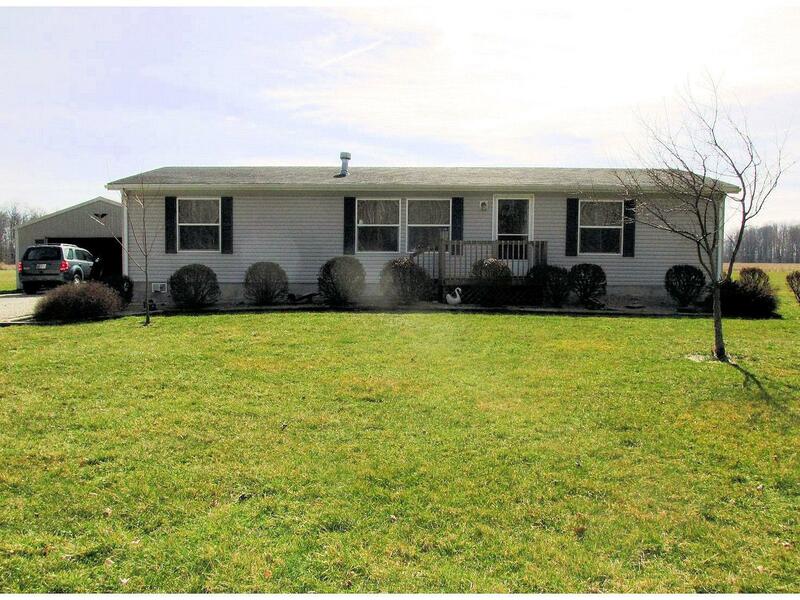 This home features a spacious floor plan; pantry, walk-in closets in all bdrms, mstr bth, insert in gas frpl (not hooked up); large deck, nice landscaping, 2-car garage w/ electric. A great property for the price!